In response, the Council of the European Union established the European Public Prosecutor’s Office (EPPO) to investigate and prosecute the perpetrators of fraud affecting EU revenue and expenditure, in many cases involving multiple EU countries, and often committed by organized criminal networks. This Insight reflects on the momentous step that the EPPO constitutes in the evolution of international and European criminal law by analyzing its role, competence, structure, and functioning. The establishment of a European prosecutor’s office has been a matter of academic and political discussion for nearly twenty years. The debate began in 1997 with a Corpus Juris project presented by a group of experts directed by Professor Delmas-Marty and was relaunched in 2009 after the Treaty of Lisbon provided the legal basis for such a Union-level prosecution system. In 2013, the European Commission launched its proposal for setting up the EPPO under Article 86 of the Treaty on the Functioning of the European Union (TFEU) and in 2017, the EU Council established the European Public Prosecutor pursuant to the TFEU’s “enhanced cooperation” mechanism between seventeen EU member states. The EPPO will be located in Luxembourg and is expected to become operational in 2020–21. The EPPO will be a “body of the Union” with a separate legal personality. It will conduct its activities impartially and in compliance with the rights enshrined in the Charter of Fundamental Rights of the European Union and the principles of rule of law and proportionality. The EPPO is tasked to act in the interests of the EU as a whole and may not seek or take instructions from any person external to the Office; any member state; or any institution, body, office, or agency of the EU. The regulation also stresses the independence beyond doubt of candidates in the appointment procedure. 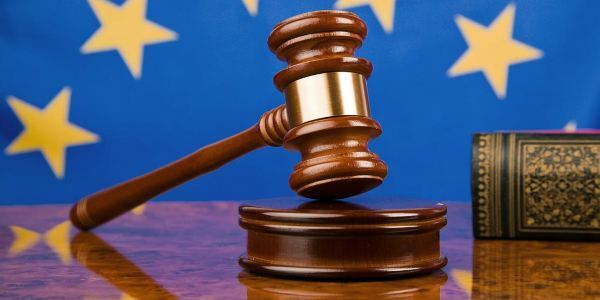 The European Prosecutor is granted remarkable autonomy in exercising its powers of investigation and prosecution, including the power to initiate proprio motu an investigation and take over a case from national authorities. Enforcement authorities of EU member states are required to inform the European Prosecutor’s Office of any investigation they undertake in respect of a criminal offence for which the EPPO could exercise its competence. The EPPO will investigate and prosecute fraud and other offences affecting “the Union’s financial interests.” Such interests include the management of budget appropriations, as well as all cases affecting its assets and those of member states, such as fraudulent activities in relation to EU funds (i.e., the use or presentation of false, incorrect, or incomplete statements or documents, which has as its effect the misappropriation, misapplication, or wrongful retention of funds or assets from the Union budget or budgets managed by the Union, or on its behalf, collectively dubbed “PIF violations”). Fraud affecting the Union’s financial interests covers “serious” offences against the common EU VAT system, such as those connected with the territory of two or more member states and involving a total damage of at least ten million euros (i.e., the use or presentation of false, incorrect, or incomplete VAT-related statements or documents, or the non-disclosure of VAT-related information in violation of a specific obligation, having the effect of reducing the Union’s budget resources). The EU’s financial interests can also be damaged or threatened by money laundering, corruption, and misappropriation. The EPPO’s competence ratione materiae further covers ancillary offences deemed “inextricably linked” to PIF violations, such as acts strictly aimed at ensuring the material or legal means to commit crimes affecting the financial interests of the Union, or to ensure the profit or product thereof. Additionally, the European Public Prosecutor may investigate and prosecute offences relating to organized crime (including membership in, or the organization and leadership of, a criminal organization) if the focus of such an illegal network is to commit any PIF violations. Lastly, EPPO competence includes other serious crimes “having a cross-border dimension” and “affecting more than one Member State,” such as terrorism; counterfeiting means of payment; corruption; money laundering; organized crimes; and illicit trafficking in arms, drugs, and humans. As for the ratione loci and ratione personarum competence, the EPPO is empowered to investigate and prosecute the aforementioned financial crimes: (a) where committed in whole or in part within the territory of one or several EU Member States; (b) where committed by a national of an EU Member State provided it has jurisdiction for such offences when committed outside its territory; or (c) where committed outside the territories referred to in (a) by a person who was subject to the EPPO’s Staff Regulations or the Conditions of Employment at the time of the offence, provided that the EU member state has jurisdiction for such offences when committed outside its territory. The EPPO College, consisting of the European Chief Prosecutor and one European Prosecutor per member state, is empowered to monitor the activities of the Office and take decisions to ensure coherence, efficiency, and consistency in terms of a uniform prosecutorial approach throughout the EU. The Permanent Chambers, the European Chief Prosecutor (or one of the Deputy European Chief Prosecutors, or a European Prosecutor appointed as Chair) and two permanent members will monitor and direct the activities of the European Delegated Prosecutors to ensure the coordination of investigations and prosecutions in cross-border cases and safeguard the implementation of the College’s decisions. The European Chief Prosecutor, appointed by the EU Council with the consent of the European Parliament for a non-renewable term of seven years, will lead the EPPO and represent the Office vis-à-vis the EU institutions, EU member states, and third parties. The European Delegated Prosecutors, appointed by the College on the proposal of the European Chief Prosecutor, act on behalf of the EPPO in their respective member states with the same powers as national prosecutors in relation to investigations, prosecutions, and bringing cases to judgment. The current scheme anticipates appointing two or more European Delegated Prosecutors per member state. The Administrative Director is responsible for the EPPO’s administrative and budgetary affairs. In fighting financial transnational offences, the EPPO and competent national authorities should support and inform each other in compliance with the “principle of sincere cooperation.” .However, the EPPO’s jurisdiction trumps that of national prosecutorial systems. Hence, when the EPPO initiates or evokes an investigation, it automatically pre-empts any national action for the same criminal conduct. The EPPO may cooperate with non-participating EU countries, third states/parties, and international organizations concluding working arrangements of a technical and/or operational nature with these entities, particularly the exchange of strategic information and the secondment of liaison officers to the EPPO. The EPPO partnership can also encompass relations with other EU bodies, institutions, and agencies (such as OLAF, Eurojust, and Europol) to support or complement the Office’s activity, for instance, providing information, analyses (including forensic), expertise and operational support. To counterbalance the EPPO’s independence and pre-emption powers, the Regulation imposes strict accountability towards the EU institutions and calls for constant reliance on national law. As institutional safeguards, the Regulation requires the EPPO to report annually to the European Parliament (and to national parliaments), as well as to the Council and the Commission of the European Union, empowering them to seek the discharge of the Prosecutor at the Court of Justice of the European Union in cases of serious misconduct. The EPPO’s establishment brings about substantial changes to the protection of EU law and interests, further developing the EU area of justice and seeking to establish a coherent, more efficient and effective system for investigating and prosecuting serious transnational crimes by combining European and national law enforcement efforts. In particular, the EPPO is the first EU judicial body exercising “direct powers” vis-à-vis individuals responsible for financial cross-border offences. Reliance on national law stipulated in the Regulation could raise harmonization concerns, but the risk of compromising the EPPO’s effectiveness could be prevented by the EU Court of Justice ensuring a uniform interpretation of applicable EU law in all member states. In this perspective, this new body represents a noteworthy development in strengthening the internationalization of criminal justice. Protection of the European Union’s Financial Interests – Fight Against Fraud Annual Report 2016, COM(2017) 383 final (Aug. 7, 2017). Council Regulation 2017/1939 of 12 October 2017 Implementing Enhanced Cooperation on the Establishment of the European Public Prosecutor’s Office (“the EPPO”), O.J. (L 283) [hereinafter Regulation]. Directive (EU) 2017/1731 of 5 July 2017 of the European Parliament and of the Council on the Fight Against Fraud to the Union’s Financial Interests by Means of Criminal Law, O.J. (L 198) [PIF Directive]. Valsamis Mitsilegas & Fabio Giuffrida, Raising the bar? Thoughts on the Establishment of the European Public Prosecutor’s Office, CEPS Policy Insights, No. 2017/39. At the global level, a similar mechanism has been identified by some eminent scholars interpreting “serious” financial crimes as crimes against human rights, thus placing them within the jurisdiction of the ICC. See Giuliana Ziccardi Capaldo, The Global Fight against Impunity and the European Court of Justice: A New Approach to Tax Fraud as a Crime Against Human Rights, European Law Blog (Dec. 8, 2017). 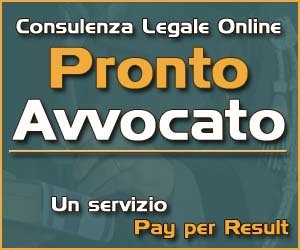 This entry was posted on 23 luglio 2018 at 16:15, and is filed under Diritto Comunitario, Legislazione. Follow any responses to this post through RSS 2.0. Oppure scrivere un commento o anche segnalare un trackback dal tuo sito.